Erdem 'Stephanie' floral-printed silk-crepe de chine gown in a yellow gold hue. The pattern is from Erdem's Fall 2017 collection which was heavily influenced by the designer's Turkish roots. The 'Stephanie' gown is traced with ruffles and has bracelet-cut bell sleeves. It is finished with a self-tie belt at the waist. 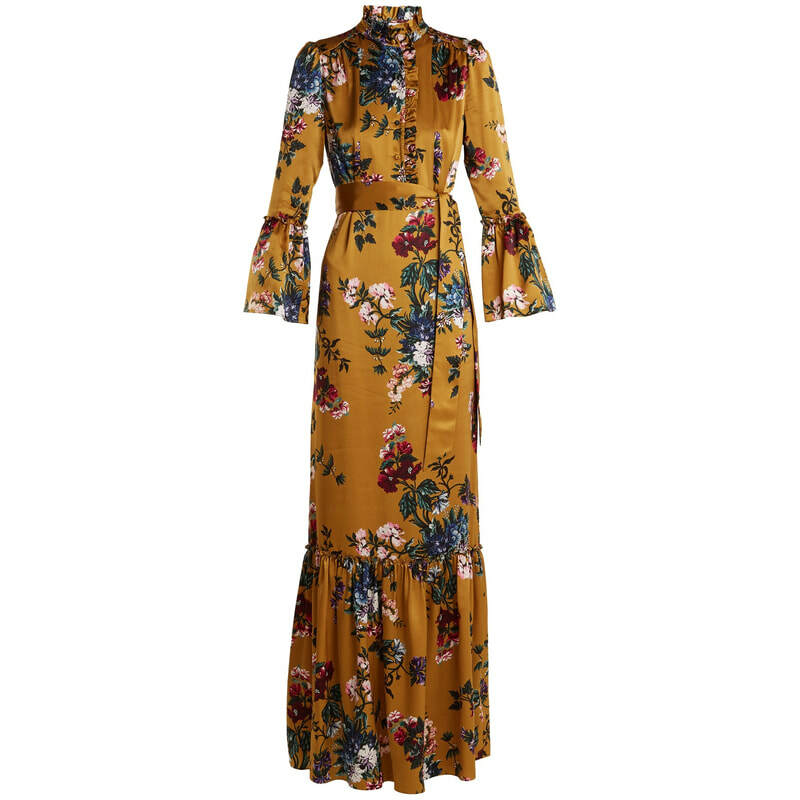 STYLE FILE: Erdem Stephanie Yellow Gold Floral-Printed Silk Gown as seen on Kate Middleton, The Duchess of Cambridge.